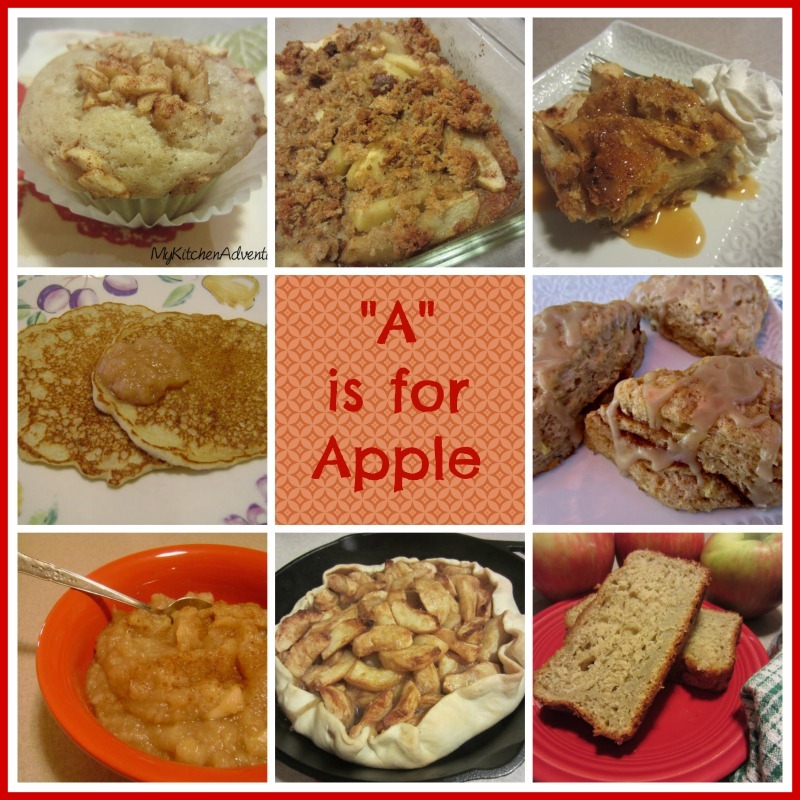 "A" is for Apple...8 Great Apple Recipes for Fall! Apple season is here!! In all it's apple-y glory. Living in NE Ohio, I can't even imagine Fall without apples...lots and lots of fresh apples. Beginning in September, local apples are abundant and available at just about every road side stand and farmers market you go to. They are priced right too! You will find even the big grocers in the area carrying local apples at a very good price! So what to do with those apples once you bring them home? Eat them fresh, of course, but then what? Just click on the link and you will go to the original post with the recipe! Are you a fan of apples in the fall? Which varieties do you like to eat/cook with? I TOTALLY need to make Kay some homemade applesauce this week! THank you for the reminder! I need to find the closest apple farm in NC so we can pay a visit! I bought a bunch to make sauce this week too! I think I am craving it! OOOH....so many to try this autumn! All the best Renee. hey Roz!! Same to you!!! At first I was all, "fall! yay pumpkin stuff." Now I'm all "Fall! Yay apple stuff!" Bring it oooon. Those scones look so dang good. What a great collection of Apple recipes, I can't wait to explore them. Thank you so much for sharing with Full Plate Thursday and have a great week!